After a short time working as a Zoologist, Jessica qualified in 2011 from the Royal Veterinary College and joined Meridian in January 2015. Jess lives in Brighton with her husband Nick and son Teddy. 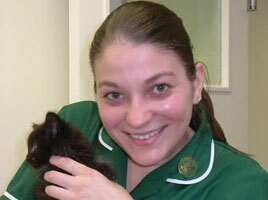 She enjoys all aspects of working as a vet but particularly feline medicine and soft tissue surgery. Having grown up in Cornwall, Jess is thrilled to be back by the sea. Jess has returned from maternity leave and works Monday and Thursday mornings, and all day on a Tuesday. Sile grew up in Ireland and graduated from University College Dublin in 2004. She moved to the U.K. shortly after and has enjoyed working in busy practices developing her interests in a wide range of surgical and medical disciplines. She joined the team at Meridian in June 2018. Sile works on Tuesday and Friday mornings and all day on a Wednesday. Katie grew up locally in Saltdean and spent time doing work experience at Meridian whilst she was at school and university. 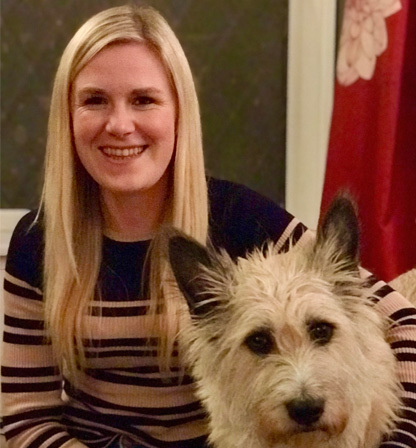 After qualifying from the Royal Veterinary College in 2015 she worked in a practice in West Sussex before joining Meridian in December 2018. Katie enjoys all aspects of veterinary medicine but has a particular interest in surgery. She has a rescue dog called Tessie and a horse called Wicket. Our staff are made up of 3 Vets, 6 nurses and 3 Receptionists who all care passionately about their jobs and as a team we aim to make every client’s visit as informative and pleasurable as possible. Fiona joined us in July 2007 as our Head Nurse. Fiona passed her VN exam over ten years ago. She then continued to study for an additional 3 years, whilst working full time, to gain a diploma in surgical nursing. She has been awarded a Certificate of Distinction for a canine behaviour. 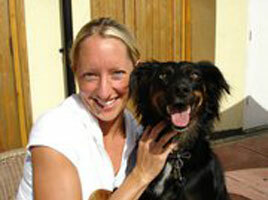 Fiona is in charge of our Veterinary Nursing team. Fiona lives in Eastbourne with her husband and son Harvey. Amy joined Meridian in January 2005. 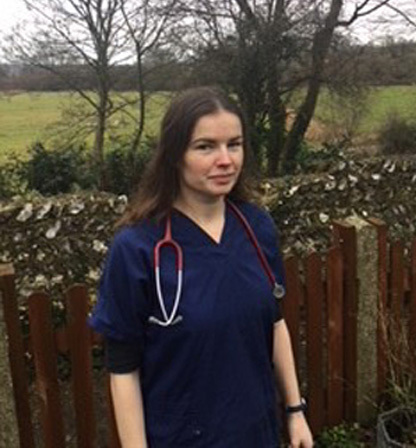 She already has a National Diploma of Applied Science in Animal Management, and while working full time here also studied and qualified as a registered Veterinary Nurse(RVN). 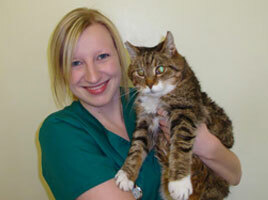 Amy has a certificate in Feline Behaviour and is currently enrolled on a Diploma for Feline Veterinary Nursing. Amy lives with her 2 mischievous cats Bam Bam and Blade. Amy is currently on maternity leave after giving birth to a little girl in June 2017. Imy started in April 2017 as a third year (final year) trainee. She attends Plumpton College every Thursday and is due to take her exams later this year. 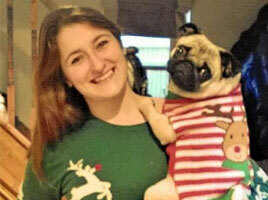 She lives just outside Eastbourne with her Pug called Tattiana, who enjoys tricks for treats. Imy is very interested in surgical nursing. Vicki joined us in March 2012 as our Nursing assistant. 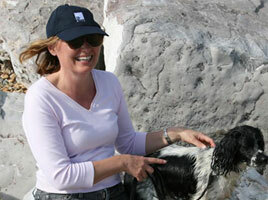 She has a foundation degree in Animal Science at Plumpton College were she assisted hand rearing Hugo the Skunk. Vicki has a milk snake called ‘Milkly Joe’. 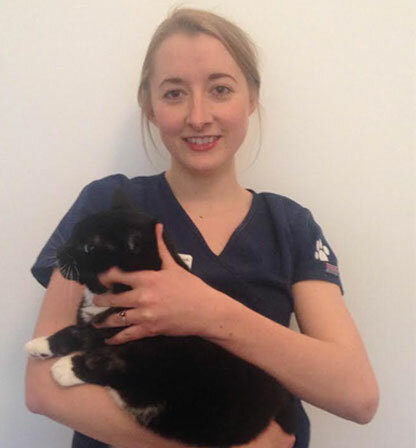 Vicki has attended Plumpton college for her Veterinary Nursing training from September 2013 until June 2016. She qualified as a Veterinary Nurse in August 2016. Chloe originally started as our Saturday girl assisting the nurses with their duties. She then went full time to Plumpton to study animal care and spent a day a week at Meridian as part of her training. Chloe is now our trainee nurse and working 4 days a week and attending Plumpton College one day a week to study Veterinary Nursing. 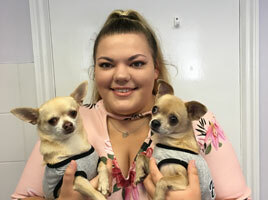 Chloe lives in Peacehaven with her Chihuahua’s Bertie and Eddie and her Jack Russell Charlie. Grant is our Practice Manager. 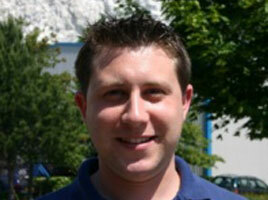 He is a qualified nurse and has worked in practice management since 2007. He has a cat called Ernie. Grant started with us at the end of August 2011 and is responsible for most of the management and admin work that goes with running a veterinary practice. Susan has worked part-time here at Meridian since 2000 as our Receptionist and is also an essential part of our administrative team, dealing with our accounts system. She enjoys meeting all our clients both two and four-legged! Susan has a 3-year-old energetic Spaniel cross called Rosie rescued from Raystede, who has recently passed an assessment to be a therapy dog for which we are all very proud. Rosie now visits St.Johns college and brings a smile to all the students on her visits. 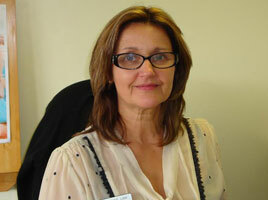 Lorraine joined us in August 2012 as our Part-time receptionist and normally works Thursday and Friday. Lorraine lives in Saltdean with her 3 children and her staffie cross dog called Maddy, who is a completely mad 6 year old rescue dog. Lorraine runs her own dance club twice a month with music from the 40’s and 50’s. 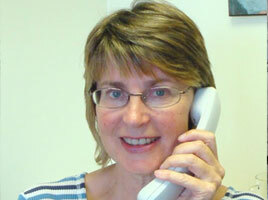 Lyn joined the practice in August 2010 as our part time receptionist. You will meet her on reception most early mornings and also occasional Saturdays. She is really interested in learning about what happens behind the scenes here at Meridian and our nurses often save microscope slides and occasional ticks or fleas for her to look at!